Chipper Recycle Craft: Baby Chick | Let's Go Chipper! Easter is right around the corner and we are so Chipper for getting outdoors for an Easter Egg hunt or visiting all the new spring baby animals at your local petting zoo/farm. Even if you are still feeling the winter chill in your neck of the woods, there are tons of ways to celebrate with your little ones. 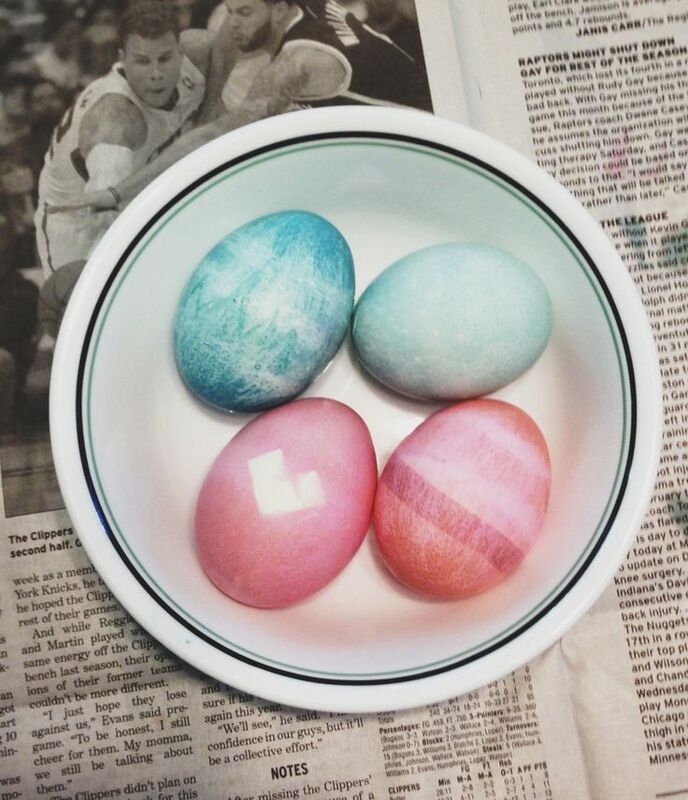 Try an indoor easter egg hunt and learn about colors with Naturally Dyed Easter Eggs! Or get crafty and make a Recycled Toilet Roll Bunny or Baby Chick using the directions below. What about making a Snow Bunny? Like Rabbits and Hares, Eggs and Chicks are often associated with Easter because, in Pagan times, they were signs of Fertility and New Life in the Spring Season. The Early Christians adopted the meaning of New Life because it helped them remember the Resurrection and having New Life through Jesus. Eggs were used by the ancient Persians and Egyptians to celebrate New Year, which happened for them in spring time. The eggs were coloured and eaten during the celebrations. In Europe, coloured eggs were used to celebrate Easter as house decorations. In Eastern European countries, such as Hungary and Romania, wooden eggs called “Pisanki” are beautifully painted in lots of different patterns. The patterns often have special names and meanings and help to tell the Easter Story. The first egg was a gift from Alexander III to his wife, was made of gold and white enamel. Inside the egg was a golden yolk containing a golden hen with ruby eyes. Inside the hen was a tiny golden crown. 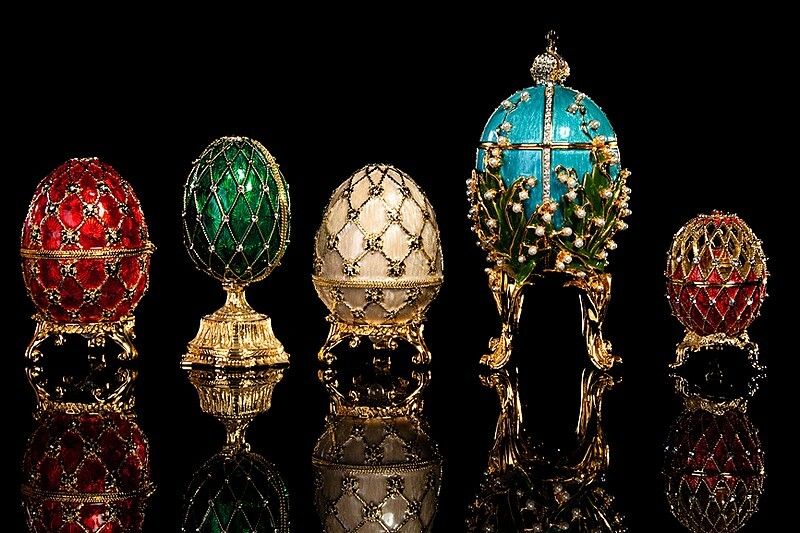 It was so beautiful that the Czar (meaning King) said that every Easter, Fabergé should make the Czarina (or Queen) a special egg. The design of the egg was left up to Fabergé, but each egg had to have a surprise in it. One amazing egg celebrated the opening of the Trans-Siberian railway. It was made of solid silver, with a map of the train route on it. The stations were marked with precious Jewels, and inside was a gold clockwork train! Fabergé made eggs for other members of the Russian royal family, and occasionally for the Czar to present to other monarchs. They are very precious, and are kept in royal collections and museums. In some countries like the United States, egg hunts take place over Easter. Eggs are hidden around a house or garden and children have to find the eggs that were hidden by the Easter Bunny. Egg rolling races are held all over the world on Easter Monday. Eggs are rolled down a hill or slope and the first one to reach the bottom that hasn’t broken is the winner. There is also an egg-knocking game is played in lots of countries including France, Germany, Norway and Syria. The game is played with hard boiled ones and is a bit like the game of ‘conkers’. The object of the game is to hit everyone else’s egg and to keep your own one unbroken. The last player with a whole egg is declared the winner. Chocolate Eggs have replaced wooden ones now and are certainly a lot nicer to eat! Have you seen the Chocolate Bunnies and Chicks too? First, cut 2 cups out of your recycled egg carton for your chick’s body and color them with a marker (or markers) of your choice. Tape or glue on your google eyes to one half. You can also draw eyes on with another marker. Cut out 2 triangles from your paper or cardboard for the beak. Color them, front and back, with marker(s) them glue them together to create your beak. Attach your paper beak to the top half of your egg carton cup with the eyes with glue or tape. Cut your pipe cleaner into 4 pieces, 2 pieces should be twice as long as the other two. Twist your smaller piece onto your larger piece to create your chick’s feet. Using your scissors or a sharp pen, poke two small holes into the bottom half of your other egg carton cup (the one without eyes!) and stick your feet into the holes. Secure with tape or glue (hot glue works best!). Cut wings out of cardboard or paper and color them. Or, if you have them, glue on some feathers to your bottom half. Lastly, glue your two egg carton cups together and voila – your baby chick is ready for Easter! Optionally, before you glue them together, put some treats inside for your little ones to find or for their friends! What are some other activities your family do to celebrate Easter, Passover, or just the Spring Season? Share with us in the comments below or on Facebook! Entry filed under: Chipper Activities, Chipper Crafts, Chipper Stories, Connecting Family, Family Activities, Recycle, Recycle Crafts, Recycle Crafts for Kids, Reduce, reduce-reuse-recycle. Tags: activities for kids, Baby Chick, Baby Chick Craft, Easter Activities, Easter Chick Craft, Easter Crafts, History of Easter, History of the Egg, Learn About Easter, REcycle Bunny Craft, Recycle Chick Craft, recycle crafts, recycle crafts for kids, Recycle Easter Crafts, Recycle Easter Crafts for Kids, Teach Kids About Easter. And the Beet Goes On! Great Greens – How on Earth Do They Grow?